If you think you have the guts to take on one of the most terrifying creatures of the Greek Mythology and be the ultimate hero, then Quest For The Minotaur is the video slot for you. It’s a highly entertaining slot made for gamers who want an opportunity to prove how much they are worth in a different but interesting environment such as Ancient Greece. 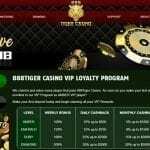 The online gaming community has welcomed warmly this 5 reel and 20 pay-line slot since it was launched in July 2015 thanks to its impressive prizes it has to offer. 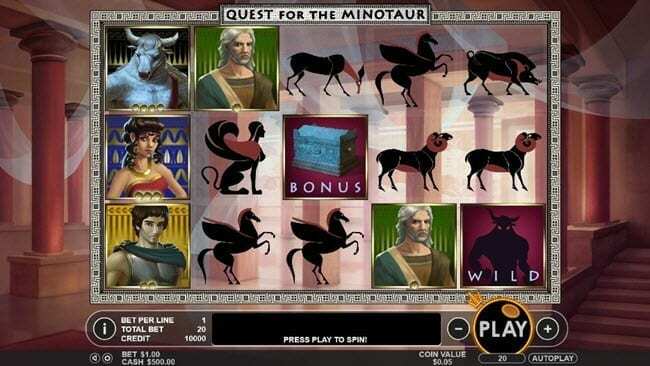 The alluring crisp graphics along with the quality sound effects make Quest For The Minotaur a fun game to play, especially when Free Spins are triggered with multipliers up to 10x, or when you enter the Escape Bonus game. 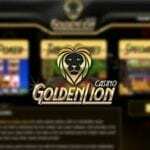 Play at thebescasino Now !